According to The Consumerist website, Amazon, feeling some pressure from the Apple iPad, will begin selling their Kindle ebook reader at early as this weekend at retail locations. The first "brick and mortar" retail chain to get the Kindle is reportedly Target. "Now that the iPad is upon them, Amazon has finally made a deal to unleash their popular Kindle e-reader to the bricks-and-mortar retail market. Amazon has made a deal with Target that will have Kindles in some of their stores as early as this Sunday. 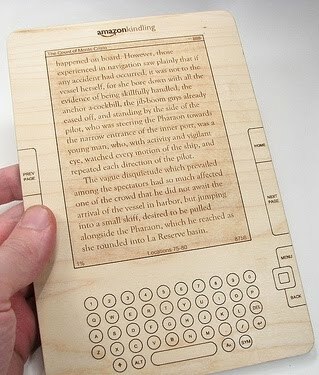 The first stores to get the Kindle will be in south Florida and the chain's flagship store in downtown Minneapolis. 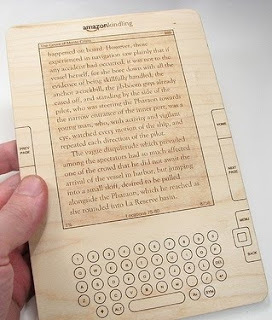 These stores should start selling Kindles on April 25." To read the full story, visit the Consumerist website.